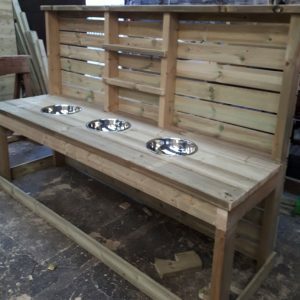 Mud kitchens and outdoor play kitchens can be used in all weathers. Get the children outside and playing together in a creative and fun way. Outdoor play kitchens are made to suit the individual schools requirements.